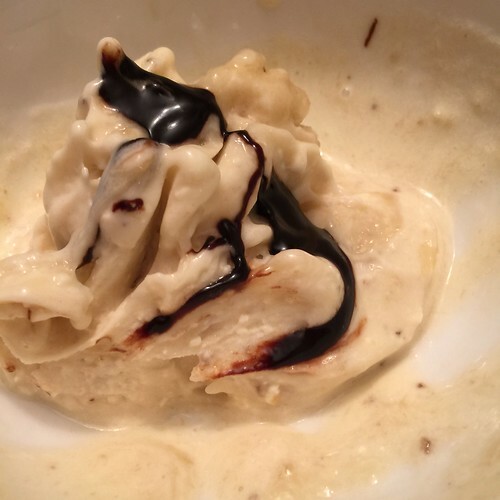 Have you tried banana ice cream? You know, the kind with.. bananas. And just bananas? I'm sure you have, I feel very late to this particular party. I do freeze my over-ripe banana slices, but I often end up tossing them out at a later date. A few nights ago though, my kids asked - totally out of the blue - for banana ice cream. I looked at the giant super-strong Oster Versa blender, I remembered my banana slices, and said "sure!" Thanks for your delicious recipe od Banana ice cream. I will give a try to this ice cream. I really love ice cream. I made some recently & added chocolate/cocoa powder & some amaretto. Delicious!